Often referred to as the 'Pearl of the Adriatic', the coastal city of Dubrovnik lies on Croatia's far southern shoreline. Home to a thriving seaport, the city of Dubrovnik has become a major tourist resort and the historic Old City area is listed as a World Heritage Site by UNESCO. 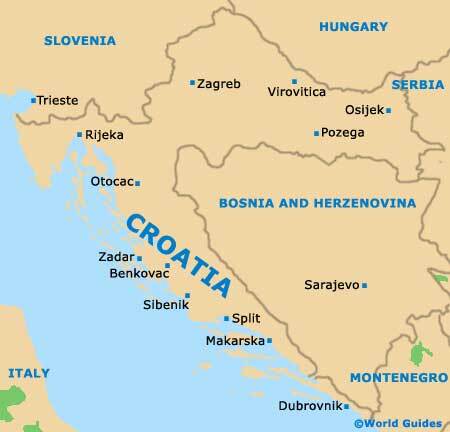 Dubrovnik was actually originally two separate towns and as a direct result of the unification many years ago, the city contains a number of distinctive neighbourhoods and local communities. 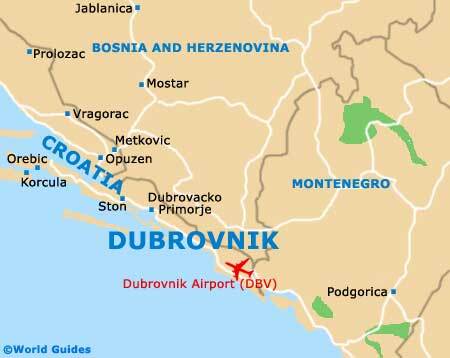 On the southern side of the city and close to Cilipi, Dubrovnik Airport (DBV) regularly serves in excess of one million passengers per annum. The airport is especially busy during the summer months and is a major gateway to this part of Croatia. Dubrovnik is a historic walled city and was founded in the 7th century. The Stradun is one of the city's main thoroughfares and a number of shops, eateries and attractions are concentrated along this street and interconnecting roads. With many historic stone buildings, colourful terracotta rooftops and charming alleys, highlights in the city include the Cathedral, a number of old monasteries, an imposing city hall, a grand cathedral and several lively nightclubs around the entrance to Dubrovnik's Old City.